The narcissist use their open display of money in order to get social approval, this often adds to their sense of entitlement. That sense of entitlement often leads them to feel that they are also entitled to other people’s money, they will use any means for extracting what money they can from others. Their grandiose fantasy leads them to believe that they have more money then they really have, and this often lends them to spend recklessly. Money is also useful when their frail ego takes a blow, when this happens they are likely to go on compulsive shopping sprees to comfort and calm themselves. Overstretched and in dept, they are always looking for ways of making more money, so they will hound people, or even commit financial crimes in order to get it. Psychology says: Boasting is a key trait of narcissism. The narcissist boasts about everything, exaggerating their achievements, success, wealth, education, occupation, conquests, power etc, anything in fact that helps them to build a grandiose image. The narcissist suffers from jealousy and envy, anything another person has they want, so they set out to get it. They use their grandiose image as part of their art of seduction in order to attract others to them for their exploitation. However, once they extract what they want from this person they loose respect for them, they are then soon discarded in a terrible fashion, often ruining their reputation in the process. The truth is that narcissists have little or no self-esteem or self-worth of their own (no such ego functions), in fact their boasting implicitly implies a serious lack of self-worth. Boasting has many advantages for the narcissist; to start with, it acts as a defense mechanism against feeling inferior. In order to mask their underlying feelings of inferiority, not just to the world, but to their own self, the narcissist has to maintain their image of superiority, and boasting helps them do that. When you are in their favour, then you will have to be prepared to endure a pretty much one sided relationship, where they are the constant topic of conversation, with their “I”, “me”, “my” and “mine”. If you do manage to talk about yourself, you will soon see them become bored and impatient with the conversation, and somehow the conversation switches back to them, and once again they are in the limelight. Psychology says: The narcissists inflated pride convinces them that they are superior to everybody else. In such a place of pridefulness, the narcissist is overly sensitive to any form of actual or perceived criticism that could threaten their self-image and cause them shame. They will react harshly and haughtily to anybody who dares to threaten their false self and magical thinking; therefore threats will not be tolerated for an instant. As the narcissist is always right in their own mind, they will judge anybody in opposition to them immediately as being inferior to them, and therefore deserving of their rage and retribution for daring to attack or humiliation them. Psychology says: Narcissists cannot handle being upstaged in any way; you must not be seen to be more powerful, more successful, more beautiful, more intelligent, in fact “more” anything. To do so renders you to becoming the narcissists arch enemy, an instant rival to be spoken of in an irreverent or impious manner. Narcissists are masters at using character assassination as a subtle railing tactic to undermine anybody who poses as a threat to their fragile self. Preoccupied with living in their fantasy of power and brilliance, their fragile ego is easily offended, and can often find offense where none is intended. Whether the threat is real or imagined, the aggressive, attacking and abusive narcissist will retaliate by setting out to expose and destroy any person who poses as a threat, and he will do it in any way possible; defame the person with lies and gossip without conscience, then happily by proxy, where they use others to become unwitting character assassins for them. Many narcissists operate through a “God Complex” that is so arrogant that they consider themselves as living Gods, and more than that, they are a god that does not submit to any mere mortal. St. Paul says: Disobedient to parents. Psychology says: In the context of the Bible, the parent represents “authority”. The narcissist does not bow to any authority; they see life in terms of self-entitlement in the pursuit of serving their own needs. For that reason, their inner drive is not driven by community values, actually they sneer at them. They do not respect an authority which endeavors to constrain them and make them accountable for their actions; on the contrary, they prefer to live by their own flexible laws and rules of engagement where they are the “authority”. They dedicate their waking time to the constant pursuit of acquiring their own personal authority, and this can be achieved by any means available to them: through their immediate family, the workplace, friends, collogues, peers etc. Indeed any type of relationship that guarantees their flow of Narcissistic Supply will suffice, and in the procurement of their much needed supply, the narcissist will gladly misuse their authority in order to reach their goal. Furthermore, the narcissist sees theirself as a guru, and therefore is inclined to encourage a personality cult following from all their relationships. Then like all cult leaders, they demand total obedience and control over their dominion. Psychology says: The purpose of all human life is to become “Holy”, holy means to become “whole”. When we are whole we are grounded in a sense of our True Self, and the interconnectedness with all that is sacred. That interconnectedness is directed by the natural laws of love, wisdom, reverence and compassion, where we can be other centered. Narcissists, on the other hand, are solitary beings who are grounded in a False Self that renders them addicted to their own self-centeredness. Focused only on their own needs and wants, they become “unholy” predators cut off from all life (secular and sacred). They are at the centre of their universe, with little or no moral code they become intent on violating everything in their sights in order to get their needs meet. In doing so they have no consideration for any damage they cause to others. It is such evil intent that becomes the dualistic opposite of good, rendering the narcissist unholy. Psychology says: Ego Psychology uses the term “Narcissism” to describe someone who is self-centered, and in love with their own image (as in the myth of Narcissus). Narcissists, by and large, grow up feeling unloved and abandoned. Without experiencing the mirroring of love from another, they lack the ability to love others, or even themselves. Freud spoke of “primary narcissism” as a necessary stage of infant development. He theorized that before a child could love others, it must first learn to love itself. A child devoid of love experiences intolerable painful feelings. In order to survive, they cut-off from these painful feelings and develop an idealized false-self mask that camouflages their suppressed inner feelings of being defective and unlovable. Suspicious and fearful of their own disowned feelings, they then become suspicious of any displays of affection toward them. They interpret these displays of feelings by others as a sign of weakness. This weakness in others then becomes a tool for the narcissist to exploit and manipulate for self gain. While cut off from their true feelings, they fail to develop true empathy for others. As a result, any so called love relationship the narcissist develops lacks true warmth of affection for the other person; rather it is a relationship that is totally focused on the narcissist’s self gain and self worship. Psychology says: Due to their magical thinking, the narcissist False Self utterly believes that they are unique, omnipotent (all powerful), omniscient (all knowing), in short, perfect in every way. Because they strive for perfection, they cannot face their own shortcomings without it triggering personal shame, and shame causes them to experience narcissistic injury (a threat to self-esteem and self-worth). Their response to narcissistic injury is to invariably fly into a narcissistic rage (Kohut), their rage is a direct reaction to a perceived slight, insult, criticism, or disagreement. So anybody who dares to humiliate or reject them in any way (whether it be real or imagined) will not be forgiven, and the narcissist will develop an obsessive need for revenge against that person. You may think that you are offering them constructive criticism in a manner that may be helpful to them, but this will not be decoded as being helpful to the narcissist, but rather as a threatening act against them. When they feel threatened they feel like a caged animal, and this is sure to illicit an emotional volatile response from them. In their effort to build their damaged ego and escape from their intolerable narcissistic injury, the narcissist takes flight into an escape plan that involves powerful destructiveness. For such a transgression their escape plan involves punishing you, bringing you down and devaluing you without any mercy…….metaphorically “killing you off”, as it were. Psychology says: Narcissists build an inner shrine to themselves where they self-aggrandize to an extraordinary degree so that they can feel intrinsically superior to all others. Of course, their highly inflated view of themselves is an illusory false-self (a pathological ego) that becomes the basis for all future misinterpretations of their reality. Their feelings of being superior in everyway to everybody, becomes the source of much pain and envy for them when ever they feel outshined by anybody. Pathological envy and jealousy is an integral part of narcissism (envy is a desire for what another person has, while jealousy is the fear that what something can be taken away). Narcissists are envious of anything in others that they lack in themselves (i.e. beauty, possessions, knowledge, personal qualities, power, skills, achievements, qualifications, relationships, money etc. Their envy consumes them, and the list of their covetousness (“I want, I want”) is endless. Envy is a normal human feeling which can range from mild to severe, from healthy to unhealthy, from positive to negative. For example, “healthy envy” has positive qualities. Healthy envy acts as a valuable guide for your heart, leading you in the direction of what your soul requires, so in effect, the thing you desire acts as a mirror for personal growth. For example, if you envy the knowledge of your tutor in college, perhaps there is a part of your soul that yearns to become a teacher, or to be in a position where you can impart knowledge. Healthy envy is empowering because it brings you nearer to your life’s goal. Whereas, unhealthy envy is disempowering because it keeps you bound to a fantasy, making you blind to your own true nature. Because the narcissist acts out of a False Self, they suffer from a twisted heart, leaving them at the mercy of their “unhealthy envy”, and envy that can trigger their feelings of vulnerability, shame and self-loathing at any moment. Any of these feeling can result in narcissistic injury, to which the narcissist invariably react to with rage. In order to rid themselves of such emotional turmoil and recover their equilibrium, the narcissist projects those intolerable feelings outward onto the person of their envy. Once you become the object of the narcissists envy you are in serious trouble. In order to improve their own self image they are likely to do a character assassination on you. This is not innocent gossip, rather it is an intentional and premeditated smear campaigne of “projection and smearing” that is aimed at maligning you in order to tarnish your reputation and make them feel better about themselves. Be warned, they are cold, ruthless, and self-serving, and by the way, they take no prisoners. Psychology says: When we speak of the narcissist in relation to “control”, we find we are dealing with a paradox that is somewhat ironic. In truth, most people would consider narcissists to be “control freaks”, when the fact is they are constantly under the threat of loosing self-control. Due to some circumstance in their childhood, the narcissist would have experienced a loss of control that would have a devastating effect to their sense of self. With a poor sense of self they are left feeling very unsafe in all areas of life. The consequences of feeling so out of control, is that they as adults seek to dominate each and every interaction they have, whether it be with an individual or within a group, whether it be in the home, the workplace, or in social settings. This need to control makes them feel powerful. However, their power is not “power with”, but rather “power over”, and this becomes their springboard to verbal and emotional abuse in all their relationships. For the narcissist, power and control go hand in hand. Strangely enough, they see themselves as masters of power and control, however nothing is further from the truth. In reality the narcissist uses acts of control as a major defense against ALL that appears hostile in their eyes. Control is just one of their obsessive multi-addictions in an organized energy-system that they use to insulate their fragile ego from narcissistic injury, to counterbalance their mental peculiarity in their interpersonal connection with others, and to shield them from their constant feelings of inadequacy and worthlessness. At first glance the narcissist appears to the unsuspecting onlooker as being full of self-control; they come across as charismatic, educated, confidant, charming, and sociable. However whenever the narcissist shows an interest in someone, it is not as innocent as it first appears. Because of their obsessive need for attention, the narcissist is on the constant lookout for the narcissistic supply that they crave. They are really good at making themselves appear attractive to others, they are willing to invest a great deal of energy in the beginning of any relationship so that the person feels safe and secure with them. What the unsuspecting victim does not realize is that they are being enticed to becoming a source of supply that the narcissist can control and manipulate. When this is achieved, the narcissist feels empowered and in control of everything within their sphere of influence (i.e. the where, the when, the why etc). Psychology says: Most of mankind is motivated by self-interest, however most can exercise impulse control due to their personal core values. Narcissists on the other hand appear to be disconnected from their personal feelings, therefore lacking a personal value system. This lacking of a value system leads also to a lack of integrity, empathy and a social conscience. Operating from a primary impulse drive of self interest, they rationalize that morally wrong actions are justifiable where self glorification is the end goal. Bankrupt of moral obligation, their grandiose sense of entitlement is free to conclude that the world owes them everything, and that rules that apply to everybody else do not apply to them. They are lovers of good, but only when that good applies to them, because they are really true lovers of self. They resent “do gooders” as they trigger their shame. Of course they will deny this, even to themselves, as they boast that they are moral, and lovers of the common good. Their evil behaviour is a direct result of their “lack of the good”, and they will have no moral conscious about lying about their so called compassionate, righteous and generous nature, all of which is a deceptive camouflage. Psychology says: A person who is headstrong is one that is determined to have their own way, and often this is achieved through willfulness and obstinacy. Headstrong types are not easily restrained; they are ungovernable, obstinate and stubborn. Narcissists are driven by this type of impulsiveness, even though they do their best to hide behind a facade that helps them to look like they have a self that is controlled and micro managed. Truth is that their headstrong nature is neither controlled nor well managed. The narcissist lives in their heads, and their headstrong attribute can be detected in their magnetic eyes, which can be seductive one minute (when they want to get their way), or a raging monster the next (when they feel thwarted in reaching their goal). All narcissists have an inordinate fascination with themselves, and they expect this also of their narcissistic supply. So any act of opposition against them, whether it is real or imagined, is likely to make them become violent, obstinate, ungovernable, untractable, stubborn, unruly, and vengeful. Psychology says: To be haughty means to act with blatant arrogance or disdainful pride. The narcissist displays all of these characteristics in that they consider themselves to be better, more superior than those around them. The haughty narcissist basically has an overall attitude that causes them to scorn others, to see them as inferior, by so doing they set themselves above everybody else. This puts them at the centre of the Universe, with everything revolving around them. They have little or no concern for anybody else, preferring to live by their own rules. It is such pride that often brings them down with the law. Without humility of heart the narcissist has no proper perspective beyond himself. Their haughtiness gives way to grandiosity, an overwhelming need for admiration and entitlement, impaired ability to have empathy towards others, and a lack of commitment to others. Christine is a Psychotherapist, Educator, Author and Supervisor of mental health professionals for over 28 years. She was part of a team in the Trauma Unit of St. Brendan’s Psychiatric Hospital, Dublin, and has worked specifically with victims of pathological narcissistic abuse in her private practice for many years. Her books, “The Three Faces of Evil: Unmasking the Full Spectrum of Narcissistic Abuse” and “When Shame Begets Shame: How Narcissists hurt and shame their victims” set out to to help those who have been affected by a narcissist and also to address the shortfalls in a therapist’s education, so that they become better equipped to work with survivors of narcissistic abuse.Much of her knowledge has come from her post-grad studies in Criminology and Forensic Psychology, and it is through these disciplines that she has gained her understanding of “The Dark Triad”, (Narcissism, Machiavellianism and Psychopathy). These three faces of evil are vital information for understanding the full spectrum of narcissistic abuse and the dire effects on the victims.It is her vision that narcissistic abuse becomes part of the curriculum of all Mental Health clinicians. NextWHAT DOES THE BIBLE SAY ABOUT NARCISSISTIC BEHAVIOUR? Paul said: “And from such people turn away. If a Narcissistic personality is developed from childhood parenting, can this Disorder be treated and allow the person to be “more normal” or become “Holy”? Thank you for this. It’s been a long and often difficult journey for me to recover from the verbal and emotional abuse I dealt with for so many years, thanks to my parents and Christian leaders. Fundamentalism teaches that authority figures are owed unquestioned submission. Even now, it’s hard for me to think for myself and form opinions, because we were supposed to det our “God-given authority” mold us like clay. Questioning authority is seen as rebellion, to be beaten out of a child. So I dealt with a lot of hitting and personal attacks. To me, the worst thing about narcissists is the double standard. The narcissist excoriates the victim for doing the same things the narcissist does. Unfortunately, pointing out the double standard is just asking for trouble. When I stopped going to church nearly 25 years ago, the same pastor who had browbeaten me for over an hour was now having his family members call or visit me and my family in an effort to pressure me into reconciling with him. When told I wasn’t interested, the response was always, “God won’t bless you because you won’t forgive.” The narcissists’ definition of forgiveness, by the way, is “If you were right with God, you wouldn’t keep bringing it up and asking for an apology,” and such. This runs counter to Christ’s admonition in Luke 17:3—”If your brother sins against you, forgive him, and IF HE REPENTS, forgive him.” (Emphasis mine.) In other words, forgiveness comes only *after* the abuser repents (through changed behavior). For me, the decision to leave Christianity is about regaining some sense of self, and walking away from a toxic atmosphere. Narcissism is a sophisticated form of bullying, and walking away from that environment was best for me. I know someone who is an intelligent millionaire and I suspect him of being a narcissist. He does not relish human emotional company that you would find in a relationship. That is replaced by his herd of dogs. However, I would view the way he takes care of them as a form of neglect. A few years back, it resulted in the death of all the dogs he owned at that time, but that’s a story for another book. Now, this is what puzzles me. He has friends from around the world on chat apps, and he calls them also, including me. Puzzling to me, is the fact that he mentions having all this money and living an adventurous lifestyle. I say that because he treats poor or suffering people like yesterday’s trash. For instance, if a service worker performs a service, it’s unlikely he will offer any tip. He would argue over 50 cents, and in his mind “Everyone is out to take advantage of me”. Recently two people in war torn countries who were online friends of his, requested help for food. One was Venezuelan (they have a famine), and the other was Nicaragua (political/social crisis). Requesting help of any sort from Adrian will raise his ire to the max. He calls people experiencing famine and political violence “professional victims”. It’s like Science fiction…I wouldn’t believe it if I hadn’t heard it with my own ears. So, he knows he isn’t going to help anyone, so why tell all these poor people that he has all this money? That’s what I don’t understand. I guess it’s a way to reel people in, but he’s darn sure not going to do anything whatsoever for another person, nada, nothing. Thank you so much. Your knowledge you’re sharing is the wisdom for me. I’m at the beginnng of coming out of hell. I’m 46 now. Even if I can know and see better, still feeling so perplexed, confused, unsure. I never told you how grateful I am for your wise interpretation of 2Tim 3:2 which is a revelation for me. God is so good! Be blessed. Lots of love from Poland. Thank you so much. I was married to a narcissist for 20 years. My mother died when I was 12. My Dad and brothers were narcissists,with delusions of grandeur. I am an empath. I now realize why I have been looking for attention and getting into poor relationships. Now I know I am not crazy or imagining things. I just pray that my adult children can recover from his mood swings and temper tantrums. This has helped me enormously. I like the story about Greek mythology, Narcissus and echo,it describes the syndrome to a T. I am grateful for this,so I can continue to recover. Thank you for your mission to bring awareness of the imperfect human condition of narcissism we fall into and fall prey to without the focus on God first. I have moved to the healed side of thirteen years of an abusive marriage, through God’s transforming grace. This process has taken over twenty years. Now at the age of 53, I am called to fulfill my mission–to be a Champion for abused women. My calling is tied to Christian women as my twisted beliefs played a key role in keeping me tied to my abuser. Thank you for helping people understand the complexities of abuse and the process required in the mind, spirit, and body to be healed and break free. This post is a glaring reminder that we ALL have homework in these areas to some degree at different points in our lives. These types of ugly reflections in our behaviors are even more accute with your follow-up explanations. 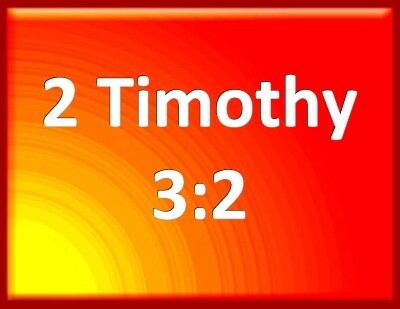 Thank you for the biblical reference 2 Timothy 3:2. The section on self-control — and especially its last paragraph are especially excellent. There is so much coming out in popular media now about narcissism that information presented is sometimes shallow in understanding, relying on the more obvious grandiose style of narcissism, which any person could spot any day. Many fall prey to the illusion that a well-practiced, charming covert narc is the epitome of “self-control”. This section laid out the far more complex reality so well. Thank you. So many people these days fit the description, and people of the sort are good at finding social support for their conduct. Of course, there are others who are absolutely appalled by what the narc does, how they misbehave, but they will none the less find people who not only put up with their behavior, but who identify with them, and offer them social support. The best approach, if yo are faced with a narc’s behavior, is to turn your back on them in disgust and to walk away without looking back. This is invaluable and validating information. I’m going through a lot right now, because I’m sick and I have to live with my narc mom. She is having a psychotic meltdown because I decided to be myself and not let her intimidate me into isolation the way I’ve done practically. I became shut down around family and people in general because I had no idea what she said about me. She lied so much that I didn’t have the energy to defend so many lies. So I didn’t talk to my own family. But I got tired of not being myself. I started to live life as my authentic self and the people that she talk about me too begin to like me. It’s like my own family is meeting for the first time and I’m in my forties. So now she’s extremely hostile towards me, because now no one talks to her. Her phone use to ring all the time. Now no one calls her. No one comes by. She threw a tantrum on Christmas and invited people then left because they didn’t confirm. But in the same breath said there’s food for her guests she abandoned. If she thought no one is coming then why did you cook. Well everyone came and had a great time and told her how great of a time they had with m. More anger. The nicer everyone is to me the more hostile she gets with me and my daughter. She’s bumped down the hall. She locked me out and said she didn’t lock the daughter. She’s made at everyone that likes me. Since she couldn’t control me she could no longer had any control of herself. Her rage could no longer be contain and people are seeing what only I’ve seen practically my whole life. She’s no longer the pillar in the community. I almost died 3 times in the last 5 years. She told people I really wasn’t that ill. Well I got really sick in front of family and she lost even more credibility. I can’t tell you how many people have told me the lies she told them. They just couldn’t believe how much my mother lied. Now I’m talking to people that broke ties with me because of her lies. I feel sad for but a bigger part of me doesn’t because it took me to realize that she was behind every single drama in the family. Now I’m working on mending fences. Which weird because I’m so much younger then everyone. I haven’t talked to my sister in 3 years but we are comparing notes. We were both dupes. The golden child is all she has left in the world. I feel bad for her because she tries to buy her love. And like my mother she has delusions of grandeur which turn people off. She always talking about whose jealous of her and her daughter. This is why I feel sorry for her because people don’t believe it. It’s like she can talk the truth into existence. But anywho this is a great sight. I’m thinking of creating a sight myself. When she talks about everyone being jealous of her and all the men wanting her at her job, we all look at her with pity . It’s just sad all the way around. Always grateful when a narc-busting article is Christ-focused. Too many churches expect victims to just paint on a smile and shut up. This information is helping me tremendously at a time I so badly need it. The explanations of narcissistic behavior as it relates to the Bible has given me so much hope by explaining what I am and have been dealing with. I’m convinced now that I am a victim of narcissistic abuse. The understanding that I am not the villian which is the label placed on me by the narcissist(s) gives me hope that there is a light at the end of the tunnel after such a cruel and evil experience. GOD is so awesome at sending us the help and understanding that we need when we are struggling with the forces of evil. Running across this website is one of the best things that has happened to me in a while. The information is priceless. Thank you so much for being a positive resource of hope. HE is an on time GOD. I am a Christian and I have been so surprised by the many verses in the Bible about narcissism. I am struggling on whether or not narcissists will be shown mercy from God. In the Bible, God says people who act in this way will not enter the kingdom of heaven. Yet, it seems that narcissists have been conditioned to act horrible as a result of poor parenting, including abandonment. Will God punish them if it is ultimately the parent’s fault? IS it ultimately the parent’s fault? Did narcissists never have a chance to be normal? Do they, in their adult years, have the true ability to change? Do they see a right way and a wrong way to life, and deliberately choose the worst way? I think about this so much because it’s comforting to me to read passages in the Bible that tell us that people who are only for themselves will not win in the end. These passages make me feel that, in time, God will bring justice to me. Incredible!!!! I am a Christian and trying to get my dear mother and father to believe God speaks about narcissism in the Bible and that it’s EVIL!!!! My nephew and brother and soon to be exhusband are total narcissist and my mother keeps saying, “Oh, poor them, but they had this happen…and that….and they’re not evil.” She just can’t grasp how harmful their behaviors are to others and that her enabling is not helping. I’m going to send her this now. Maybe coming from God will help her to see it more clearly for what it is. writing? I have a presentation subsequent week, and I’m aat the search for such information.